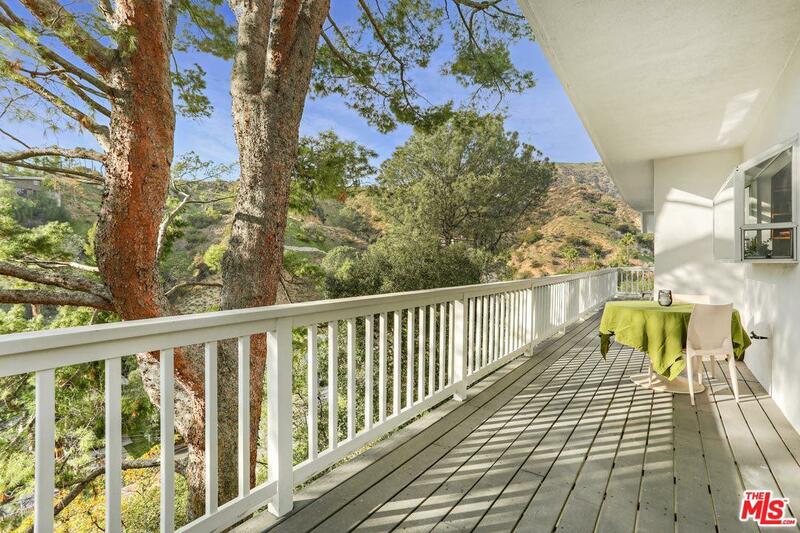 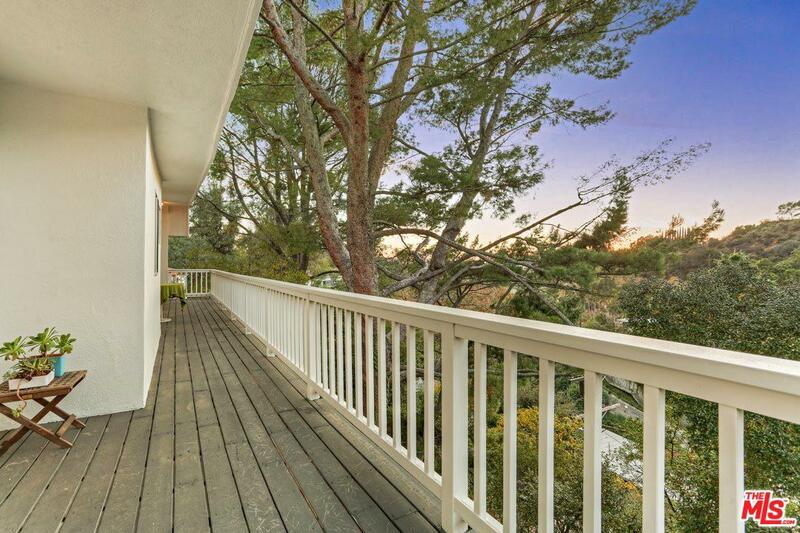 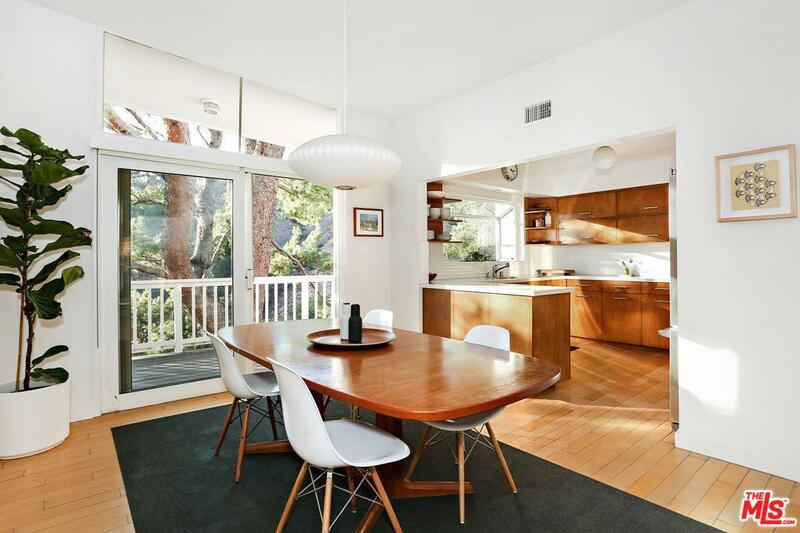 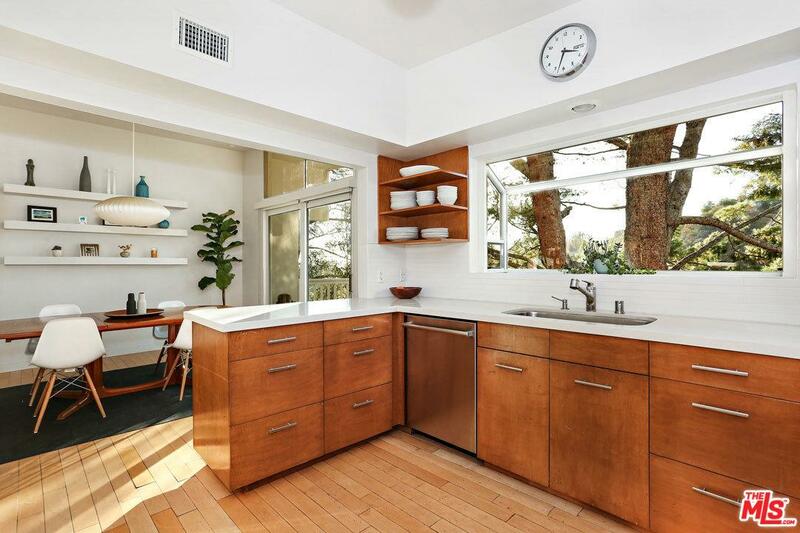 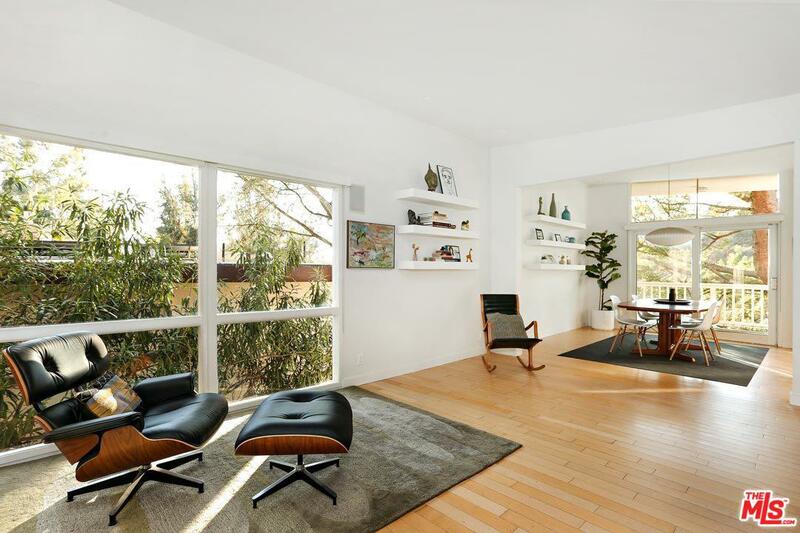 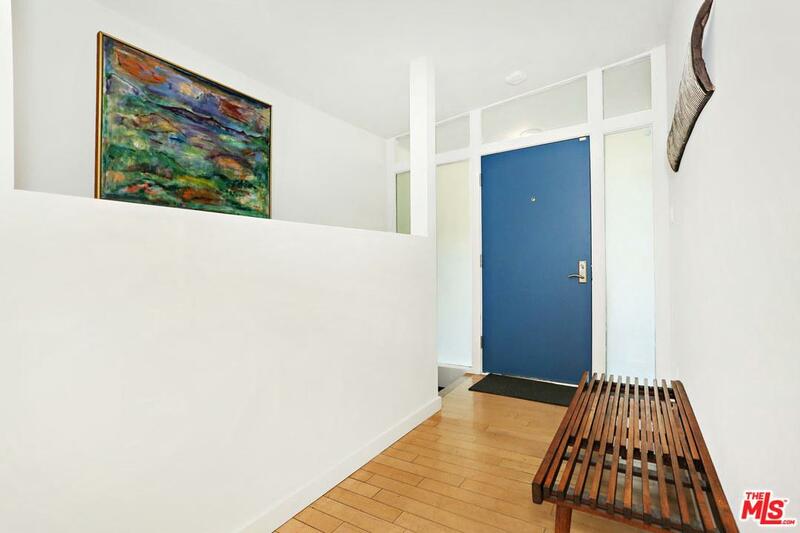 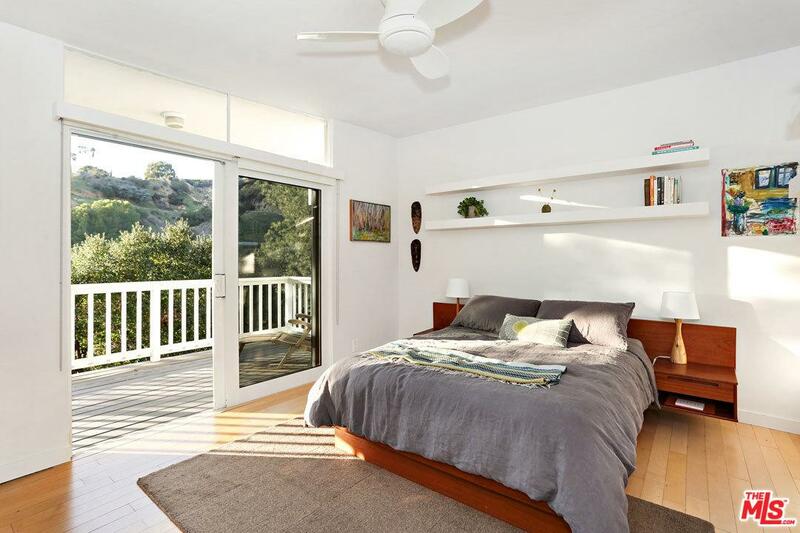 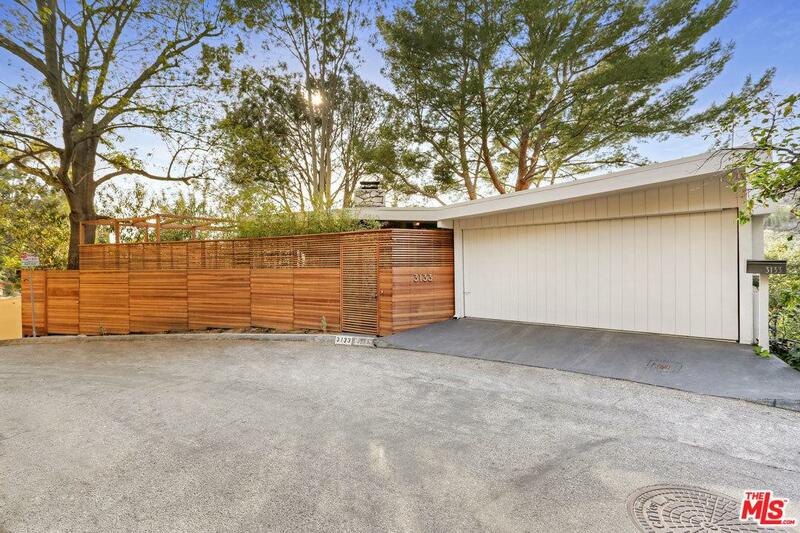 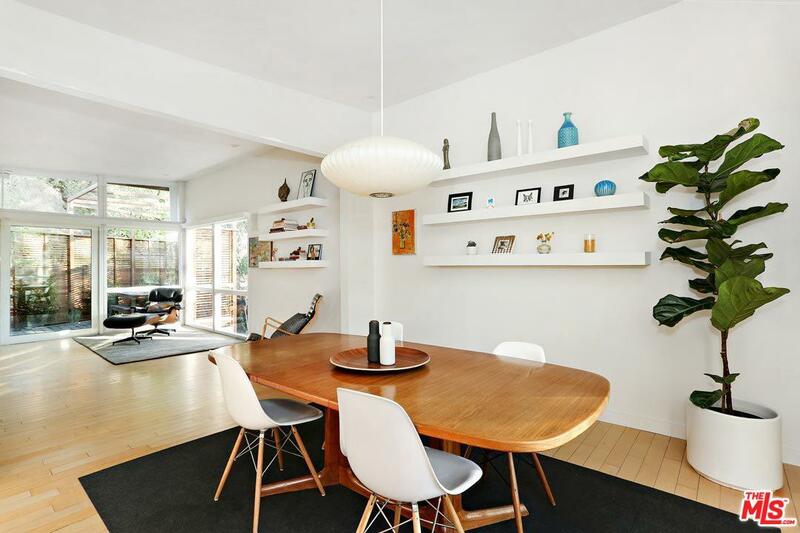 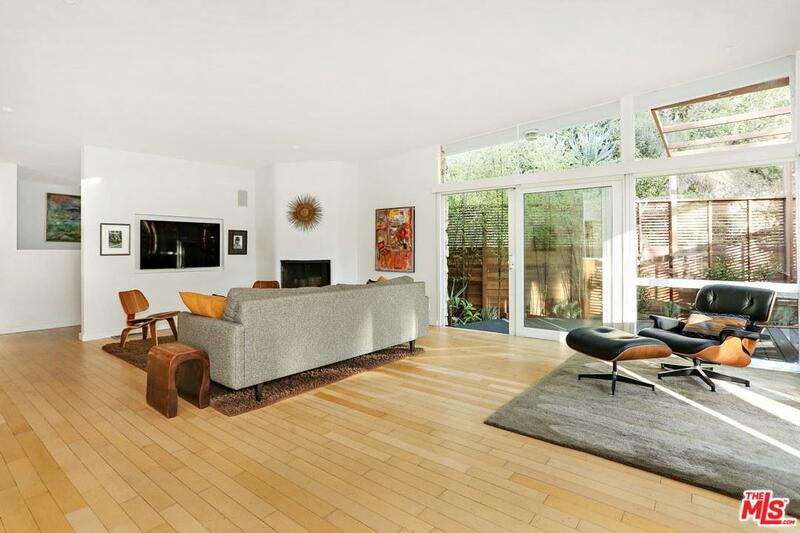 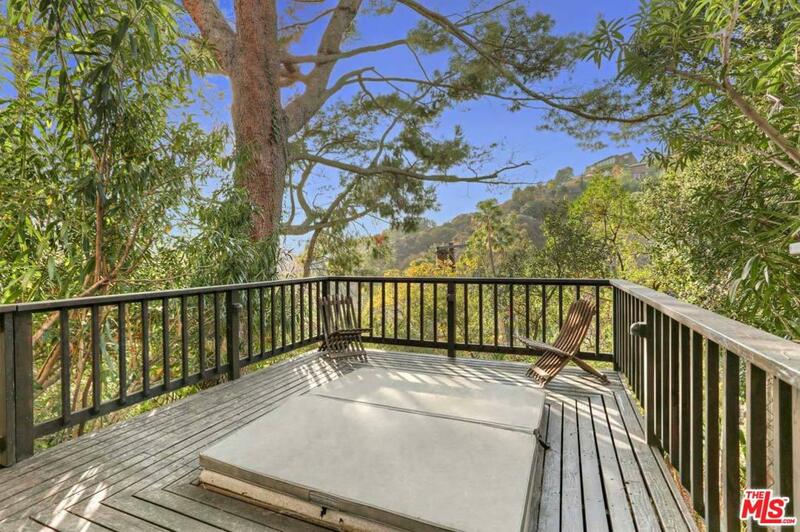 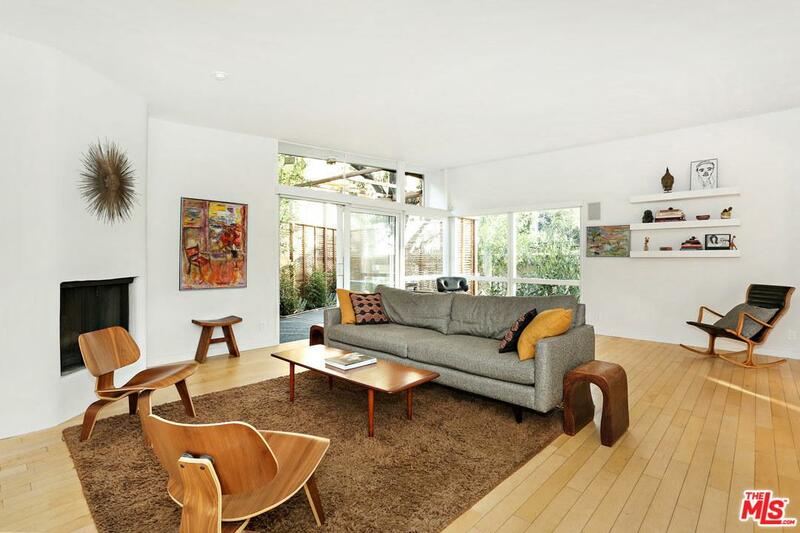 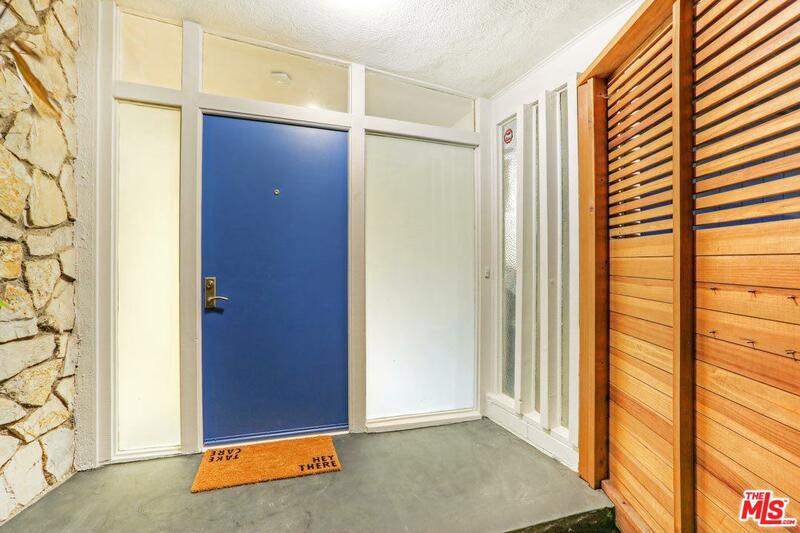 Nestled at the top of Beachwood Canyon, this serene mid-century modern resonates with style circa 1962. 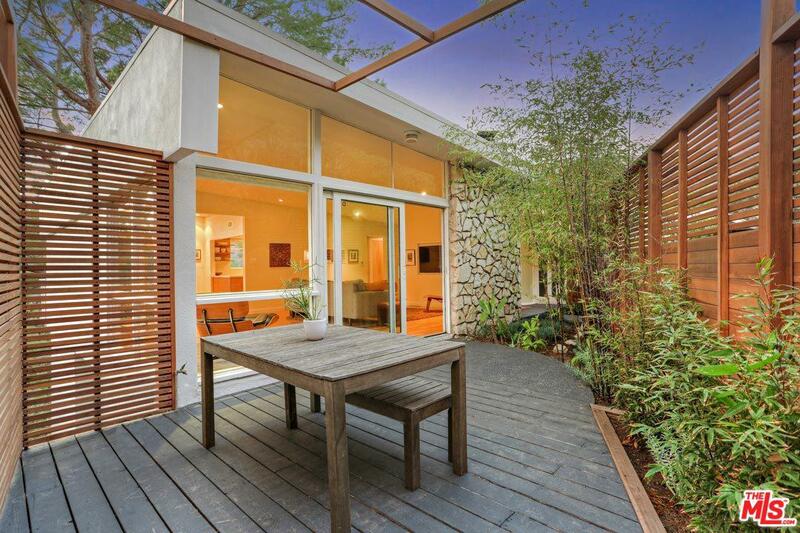 Designed by notable architect Maurice L. Bein, the thoughtfully updated residence presents a soaring butterfly-style roof and open layout with walls of glass and easy flow to a tranquil patio. 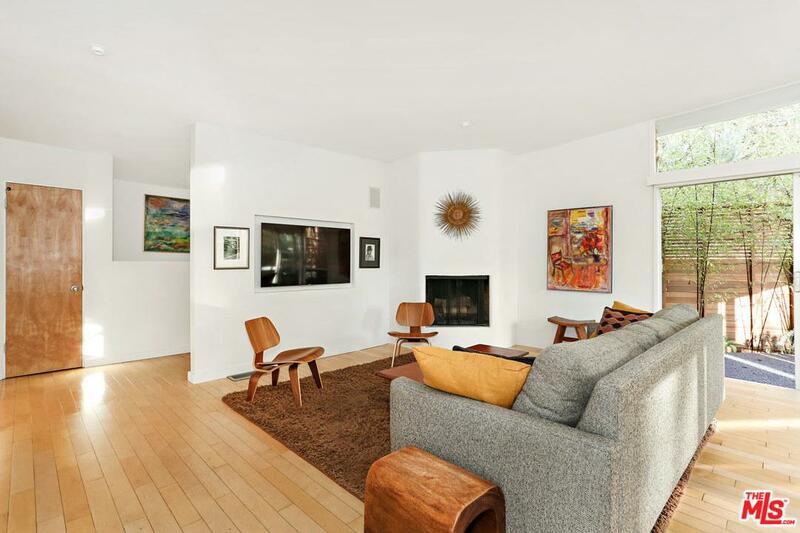 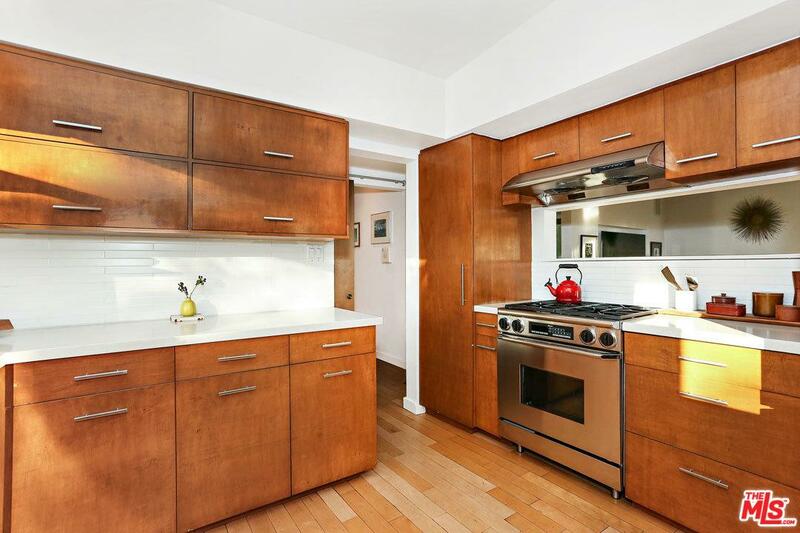 Impeccably rendered details include built-in floating shelves, a decorative fireplace and gleaming maple floors. 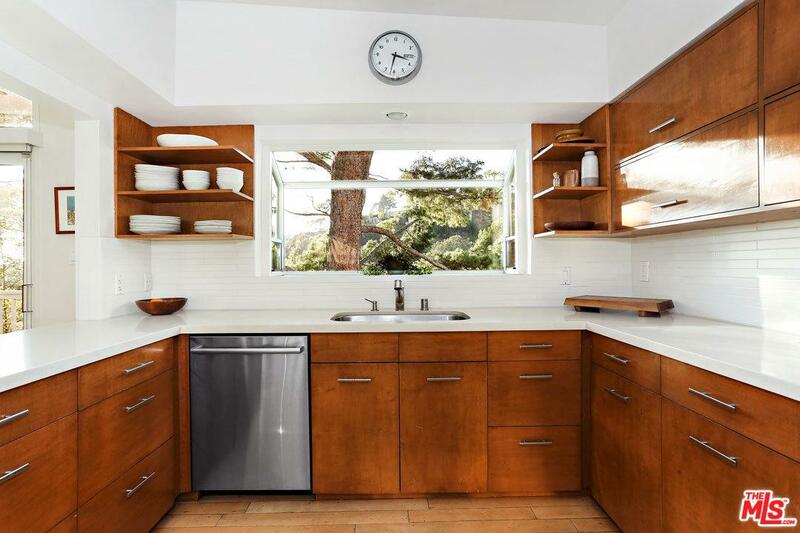 The bright kitchen features wood cabinetry, stainless appliances, a full-height tile backsplash and seamless interplay with a deck surrounded by lovely canyon vistas. 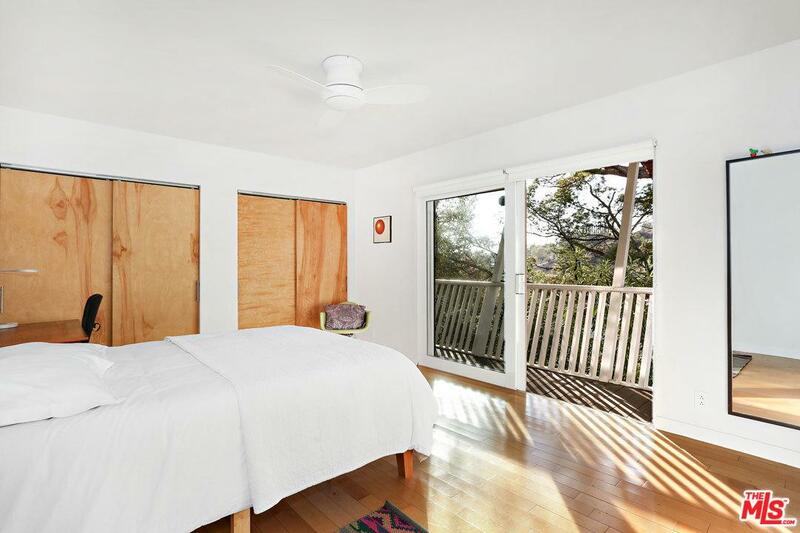 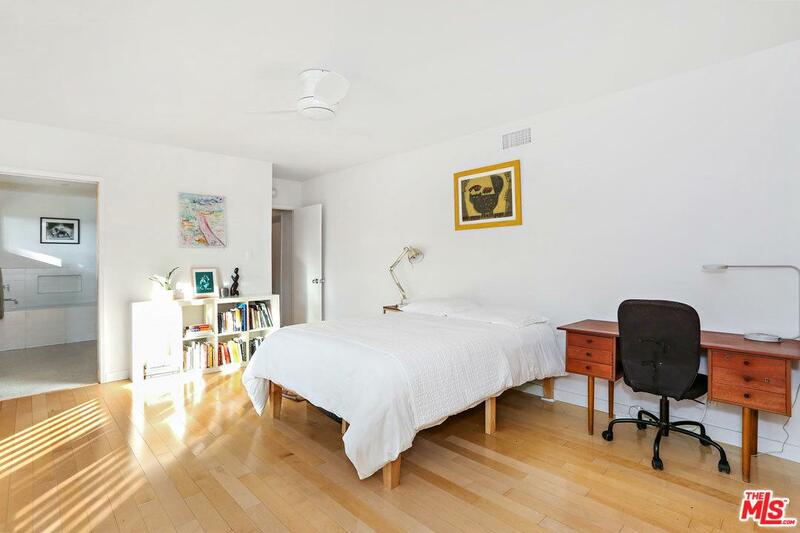 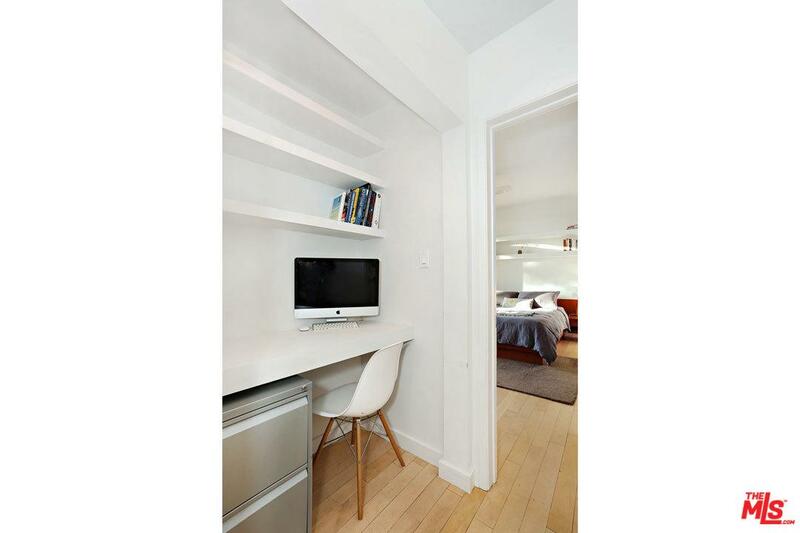 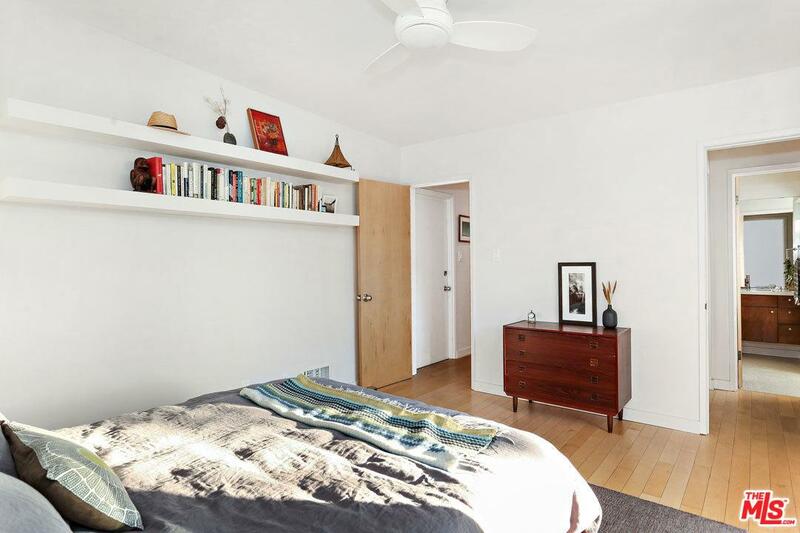 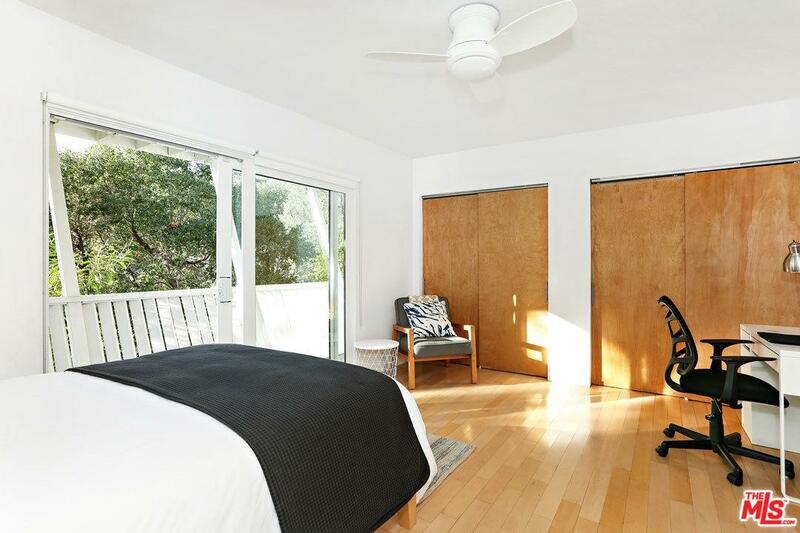 Bedrooms are airy and well-proportioned, with outdoor access. 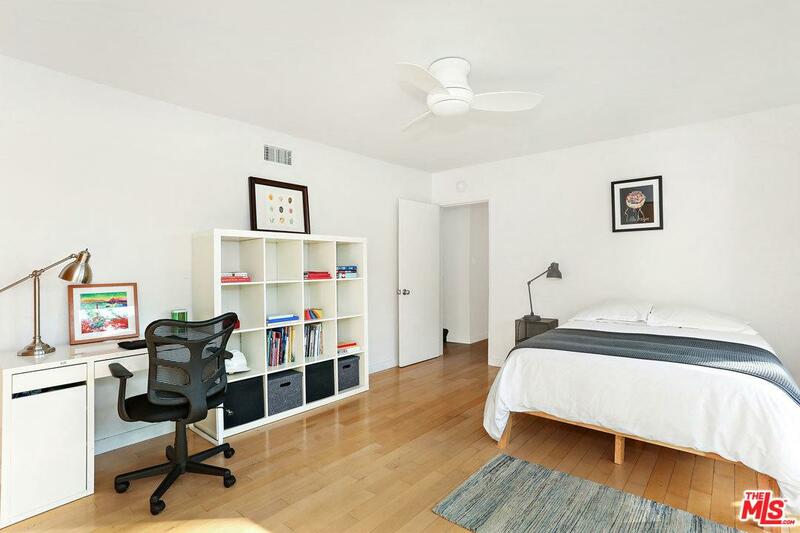 Electrical has been updated and there is central a/c. 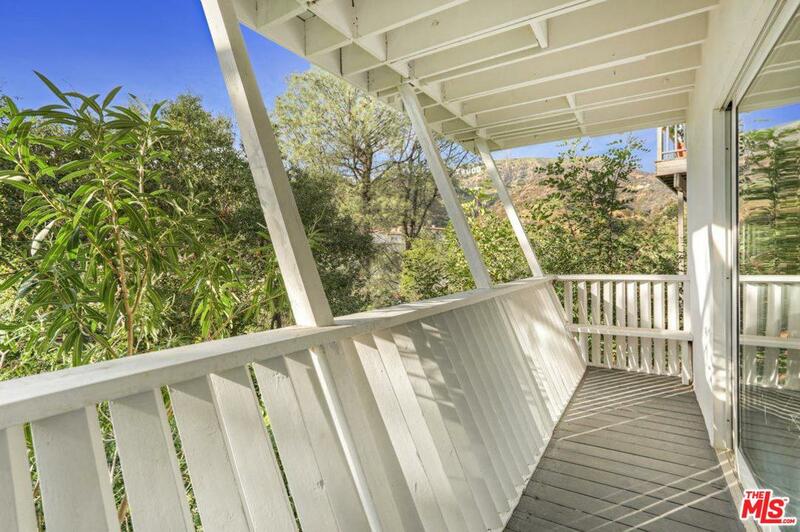 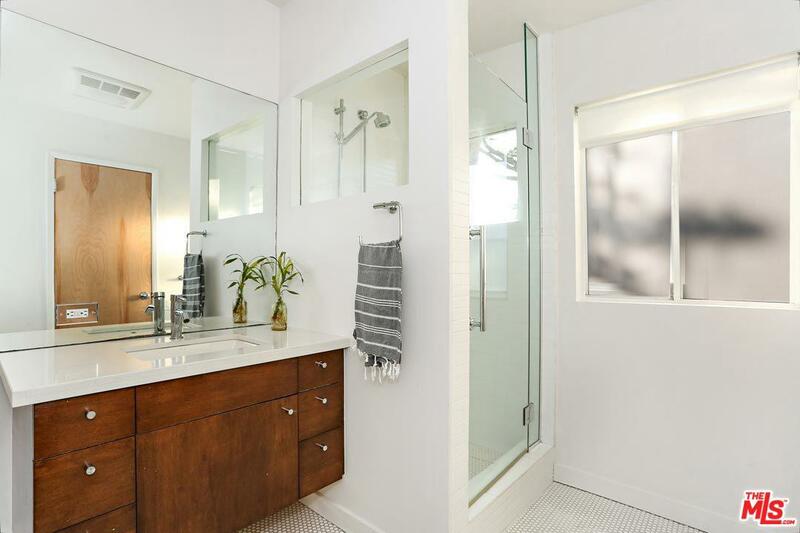 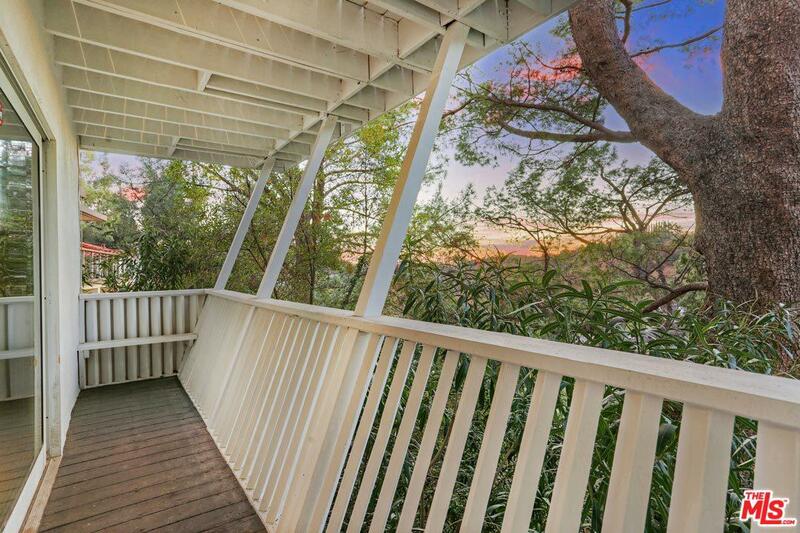 Above the city in an ideal environment for relaxing and entertaining, you are in close proximity to miles of hiking trails in Griffith Park and the many offerings of Franklin Village including La Poubelle, The Oaks Gourmet and more. 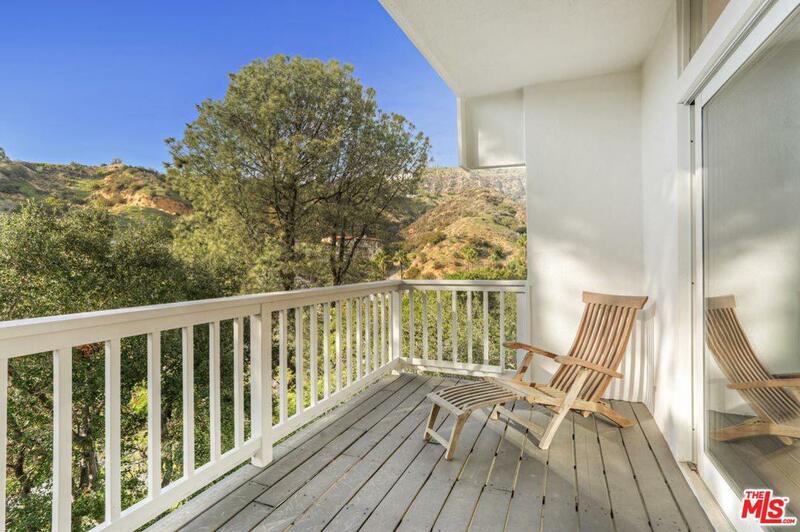 Arclight Cinemas and the Hollywood Farmers Market are within easy reach. 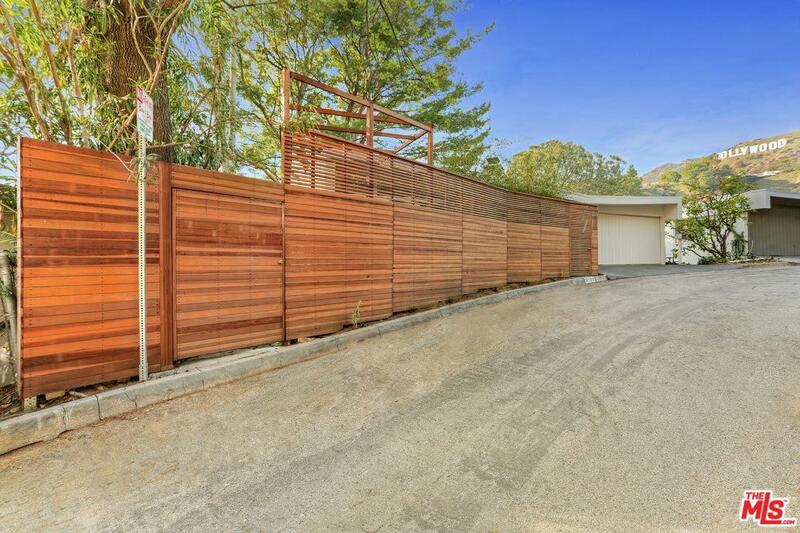 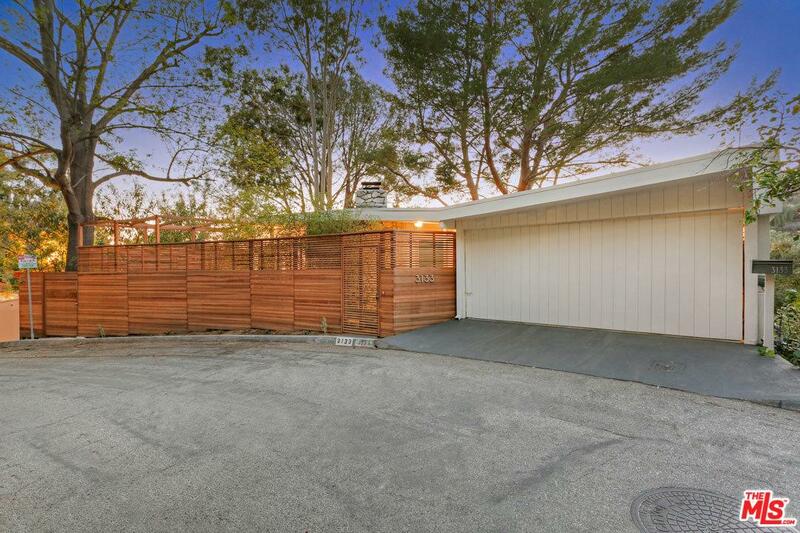 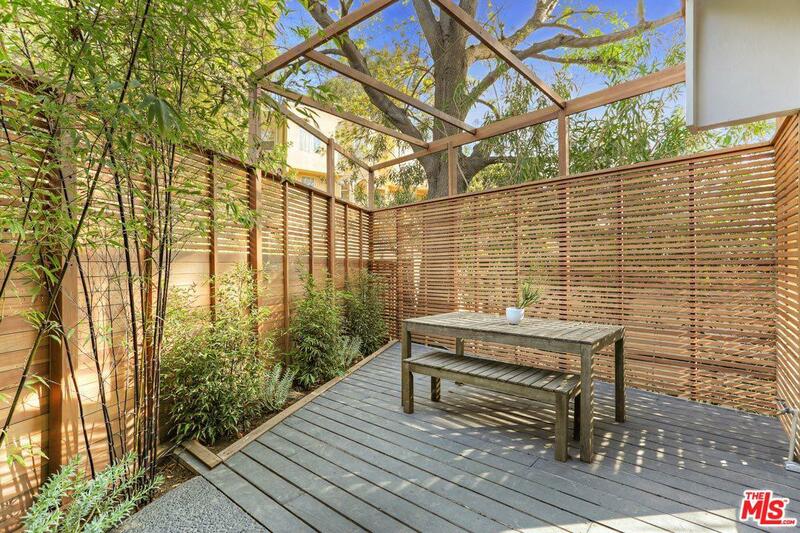 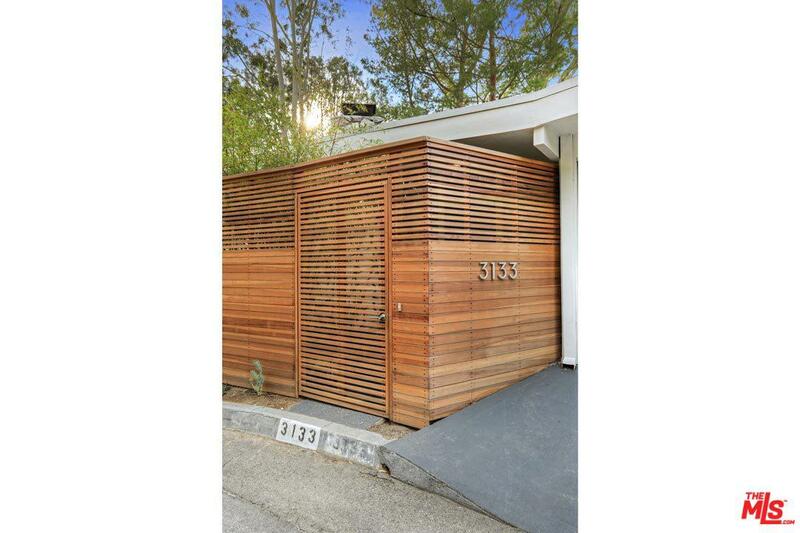 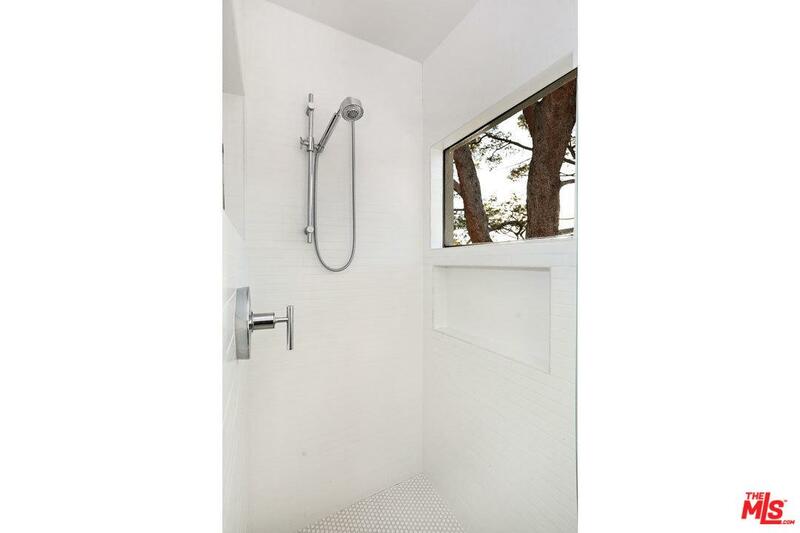 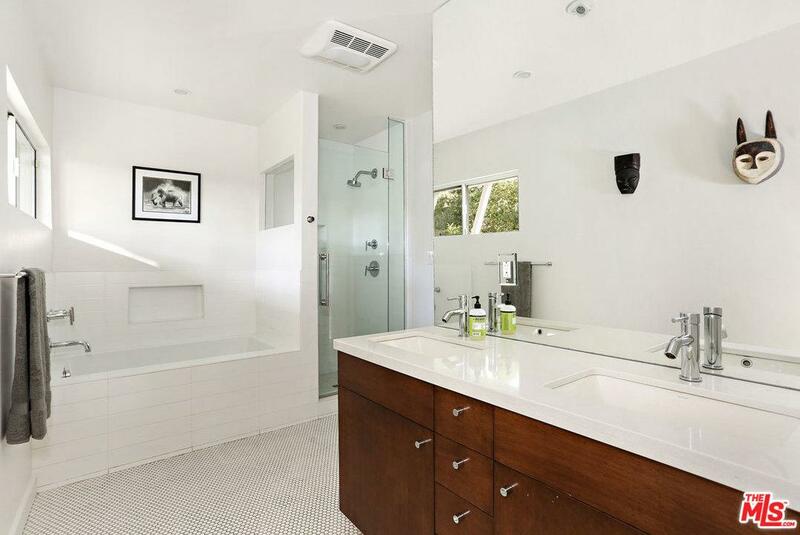 3133 Hollyridge Dr is a residential property located in Hollywood, CA. 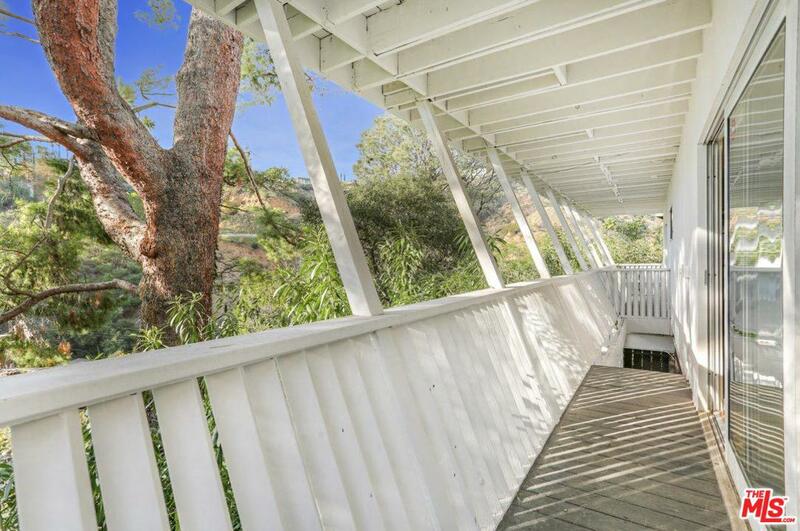 This property sits on a 5163 acre lot, is 1915 sqft, with 3 bedrooms, 2 baths.